In the last couple of days, the internet has been abuzz with some shocking news: soon, you won’t be able to pop bubble wrap. The Sealed Air Corporation, which manufacturers the product, announced a replacement that’s come a long way since it’s original use: wallpaper. Sealed Air’s new product, iBubble Wrap, is designed to help shipping companies and to bolster the company’s central product, which has seen a declining use in the last couple of years. Traditional Bubble wrap provides cushioning, and by necessity, it takes up a considerable amount of space. Where the traditional product contains numerous individual bubbles that are easy (and fun!) to pop, the new product has lines of connected bubbles which are filled as a sheet with a special pump. The new product will also take up less space - one fiftieth when compared to that of the traditional product, a major consideration for companies that ship a high volume of items. 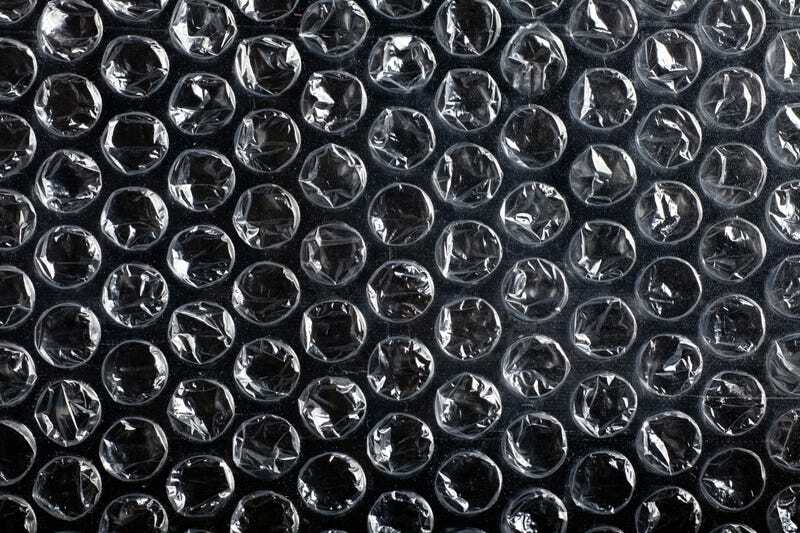 Originally, Bubble Wrap was first conceived of as sort of high-end wallpaper. In 1957, a pair of engineers, Alfred W. Fielding and Marc Chavannes, were looking working on a project in Fielding’s garage. They were working to create a type of plastic, three-dimensional wallpaper with a paper backing. Their intended product was a dud, but they realized that their invention could have a different use: the air trapped inside created an excellent cushion, it was perfect for packaging and shipping fragile items. In 1960, the pair founded the Sealed Air Corporation, manufacturing the product. Over the 1970s and 1980s, the company branched into creating other packaging products such as padded mailers, and is now a major company worth billions. According to the Wall Street Journal, the shift in packaging comes at a time when the use of Bubble Wrap is starting to decline in the last couple of years as companies try and find new, cost-effective ways to ship packages around the world, and as shipping companies have increased their costs. Additionally, traditional bubble wrap takes up a considerable amount of space, which ironically limits their ability to distribute the product across the world effectively.